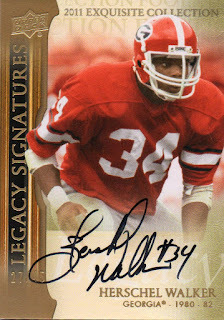 Here is my latest acquisition to the Hoard. 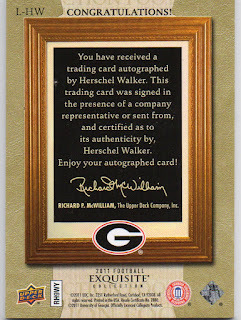 A 2011 Upper Deck Exquisite Legacy Signature of Herschel Walker. 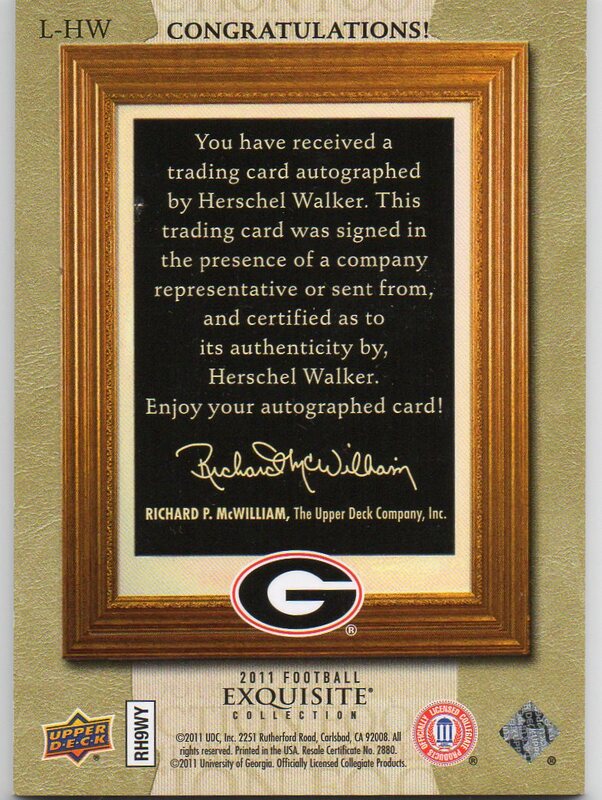 This is card #575 on my march to 600. 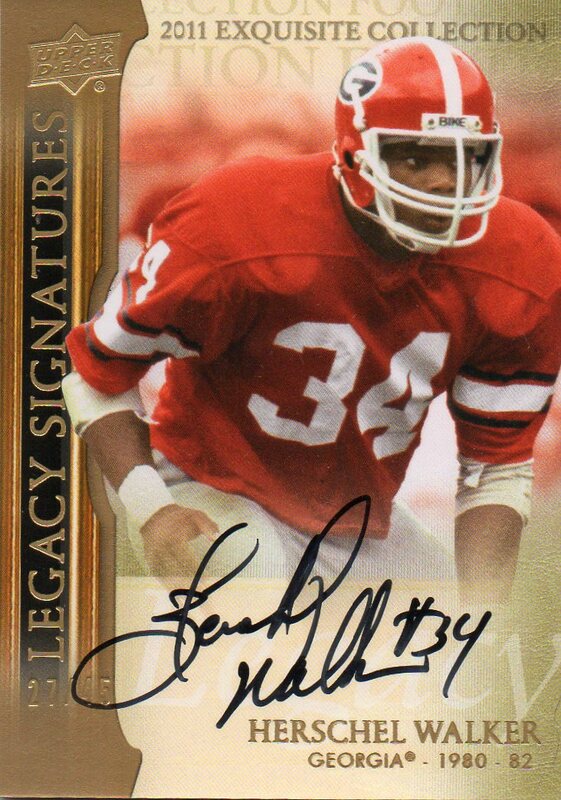 A very sharp looking card, with a bold autograph.